Spread Wealth & Health with ShareFit! Looking for even more motivation to get fit, lose weight, and live a healthy lifestyle? As though looking and feeling great weren’t enough incentive, ShareFit is now offering you another reason to keep up your efforts to reach your goals and maintain your healthy lifestyle: charitable donations. Every time you earn a “share” on sharefit.com, 1¢ will be donated to one of the following charities that help to support health and wellness. Now, you won’t just be helping yourself by keeping up with your program, but you’ll be making sure that a hungry child receives a meal, preventing the spread of obesity, supporting vital health research, and ensuring that resources are available for active lifestyles among those who wouldn’t otherwise be able to afford it. 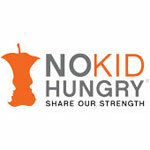 No Kid Hungry – This campaign is run by the Share Our Strength charity and is committed to ending childhood hunger in America. They work by helping to make sure that kids have access to nutrition programs such as summer meals and school breakfasts. 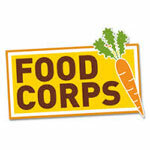 Food Corps – This charity is made up of a team of leaders across the United States that ensure that children are connected with real food so that they are given a better chance of growing up to be healthy. These leaders work with both state and community partners to establish healthy school food environments. 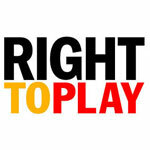 Right to Play – This organization is working to make sure that the UN’s declaration that a child has a right to play and that this should not be considered a luxury. Its mission is to use play time and sports to provide children with education and empowerment so that they can overcome the impact of conflict, poverty, and disease in communities that are disadvantaged. 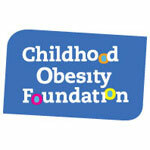 Childhood Obesity Foundation – This registered charity brings together experts in the field of childhood obesity to be able to study the condition and to pursue several different initiatives that help to prevent this disease in kids and to help them to overcome it if they have already been afflicted by it. These initiatives are based on healthy eating and activity levels on a daily basis. Sick Kids Foundation – This foundation supports one of the world’s leading childhood health care institutions. Donations help this hospital to be able to pursue pediatric health research, care, and learning so that children from around the world can receive treatment with leading edge facilities that are properly renovated and equipped. It also helps to ensure that their health professionals are always trained to stay at the top of their fields, and that they can conduct research to continually move science forward. 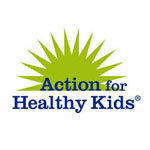 Action for Healthy Kids – This organization provides volunteers in schools, as well as school health leaders across the United States with the goal to “Learn, Act & Transform”. They provide schools with services and programs that are evidence-based, as well as resources and funding to help with the implementation of wellness practices. The goal is to transform schools into healthier environments and to improve student wellness and encourage healthier overall lifestyles. You’re committed to making healthier changes in your life and we feel there is not better way to celebrate this than to turn your hard-earned efforts into real money for charity. This means that every time you log in to sharefit.com, update your profile, track your food intake, track your fitness activities, and leave supportive comments for others, you will also be making a meaningful difference for someone else in the prevention of hunger, childhood obesity and illnesses. This is just another way for you to feel great on the inside while you look fantastic on the outside with ShareFit.